Candidates for the November 2016 elections were given the opportunity to answer a few questions relating to autism. The following are Brian Shiozawa's responses. Brian Shiozawa: We need to look at increasing the age of eligibility for teenagers as the next step. Then, look at young adult treatment. 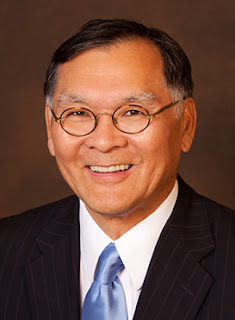 Brian Shiozawa: As you know I successfully sponsored the Health Utah plan in the Senate for two sessions 2014 and 2015. The House blocked this, but I intend to continue the fight for this. Brian Shiozawa:First of all, we need better funding in general for public education and I support a fair and sustainable source for education funding esp. K-12. Also, we need to continue supporting the vital special education programs. Police: People with autism may have difficulty understanding and complying with police orders. They may also be prone to meltdowns or be overwhelmed by lights and sirens. Two examples of where this can lead are reported here and here. Crisis Intervention Team (CIT) trained officers are recognized to be the most capable of responding to situations involving the mentally ill, and Utah has an excellent CIT program. The Utah 911 board has considered adopting a system (Smart911) that, in addition to other benefits, would help ensure that CIT officers are dispatched when needed by letting citizens pre-register with 911 and sharing their information with dispatchers and officers when a call is made. What are your thoughts on the CIT program? Would you support the adoption of a system like Smart911?CIT is a valuable resource that is underutilized. Done well, the program helps people promptly and the interventions can prevent ER visits, unnecessary hospitalizations and stabilize patients sooner than we are conventionally doing now. The enhanced 911 programs may have significant merit. Brian Shiozawa:CIT is a valuable resource that is underutilized. Done well, the program helps people promptly and the interventions can prevent ER visits, unnecessary hospitalizations and stabilize patients sooner than we are conventionally doing now. The enhanced 911 programs may have significant merit. Brian Shiozawa: You know that I support the efforts of the UAC in your vital work for the community. Please advise how I can help.